Another US Government agency dumps BlackBerry | BlackBerry Blast! It looks like the US Government is continuing its move away from BlackBerry. According to Politico, the Bureau of Alcohol, Tobacco and Firearms and Explosives is dropping BlackBerry and moving to the iPhone. 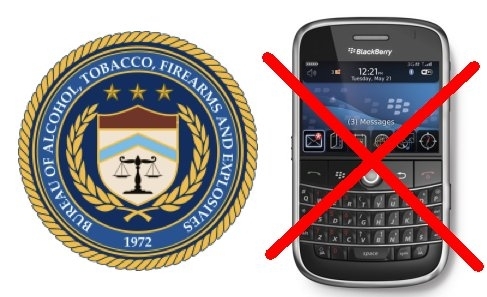 The ATF�s chief information officer, Rick Holgate, said the agency is going to �delete the BlackBerry from the mix.� The decision to dump the BlackBerry will affect about 3,900 BlackBerrys in use by the ATF. It will take about a year to complete the move to the iPhone.